Spycology is already the fourth album by German ska band Sky Kowlik. The first two albums came out in quick succession (2001 and 2002), but their third effort Trois took them much longer (2007). Stylistically not much has changed, but the increasing maturity cannot be denied, and despite a maybe too long running time, the band has managed to write mostly quite good material. The foundation is still traditional ska, but vocalist James March is an authentic frontman to avoids the band from sounding too stiff, which occasionally happens with ska bands from Germany. The opener No Bucks gives instantly a good impression of what Spy Kowlik is all about. The music is cheerful and easygoing, quite catchy and always coming with the right amount of rock to prevent it from sounding trite. I always like the band best when they are playing fast, which for instance works great on Final Song, which logically ends the album. Their more rocking tracks (Beggin’ For A Beer, Goodbye Catalana) even remind me a little of Living Colour, which is due to the slight soul influence. You’ll also find some reggae elements, probably not one of my favourite genres, but I concede that Spy Kowlik always know what they are doing. The French Bonjour Tristesse is another great track with a quieter vibe that reminds me of The Specials. I only could have lived without two tracks: The bluesy Mine For All The Time with its New Orleans flair and the Italian Bello Cosi which feels a little tired and might be the least good track on the album. 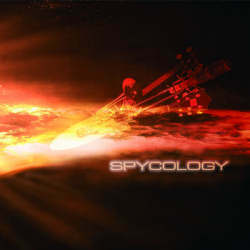 All in all Spycology is a great album though, and definitely the ideal soundtrack for the coming summer. The band has widened its horizon since their last record, and if they had done without two or three of their weaker tracks, the CD would have left an even better impression.